The good news is that scholarships for volleyball are abundant. But it's important to learn from NCSA exactly how the women's? 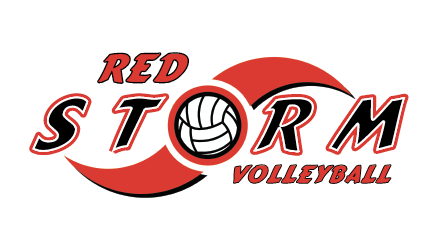 ?s volleyball recruiting process works so that you separate yourself from the hundreds of other athletes trying to land volleyball scholarships. **All information provided is credited to www.ncsasports.org** For more information please click the link. When does the volleyball recruiting process start? 1. The volleyball recruiting starts as early as junior high. You need to start early if your goal is to earn a volleyball scholarship. Playing club volleyball as soon as you can is essential, and recruiting really picks up stem during your freshman year. Freshmen should be proactive and reach out to potential coaches by sending out their athletic resumes. 2. A third-party evaluation from a trusted neutral source like NCSA is essential. It's also important to play club volleyball. Be sure to let college coaches know that you're interested in a volleyball scholarship by sending emails and letters and directing them to your NCSA online profile. When a college women's volleyball coach can identify you as a prospect using online tools from a trusted resource like NCSA, you gain instant exposure and credibility. And don't forget about club volleyball, it's an important way to show off your skills. 3. The Internet is your best tool when trying to earn a women's volleyball scholarship.Coaches can't always see you in person during the high school season or at club tournaments. The best way that a college volleyball coach can evaluate you is the Internet. A third-party evaluator like NCSA offers easy access to your video highlights and statistics and helps women's volleyball coaches find players that fit their system. Where am I qualified to play college volleyball? 4. There are a large amount of schools that offer volleyball scholarships, but just 20% of them are at the Division I level. Scholarships for volleyball are abundant, but realize that the majority of college women's volleyball programs aren't in DI. Nearly 80% of women's collegiate volleyball players compete at the Division II, Division III, NAIA or junior college level. NCSA is an experienced neutral talent evaluator, and can tell you at what level you're most likely to succeed. What is my volleyball coache's role? 5. Your coach can help with your development on the court, but getting a scholarship for volleyball is your responsibility. Your high school or club volleyball probably doesn't have the time that the volleyball recruiting process requires. There is a good chance that you're not the only one on your team hoping to earn a volleyball scholarship, and relying on your coach to manage the recruiting process for several athletes at once is too much to ask. There are plenty of opportunities to earn a college women's volleyball scholarship but there is also a lot of competition. NCSA can help make sure that you do every little thing that you can to stand out in the volleyball scouting process. 1. Develop your game plan and get evaluated by a third party. College women's volleyball scouts rely on evaluations from a trusted source like NCSA. Because NCSA is a neutral third party, we provide honest answers about your skill level, which helps you set realistic goals about where you want to play college women's volleyball. 2. Post your academic/athletic resume online. NCSA has the largest digital platform available to high school athletes. When a volleyball recruit posts a highlight video and resume online, it becomes instantly visible to hundreds of college volleyball scouts. 3. Create a winning highlight/skills video. A highlight/skills video is one of the most important aspects of the volleyball recruiting process. A good video includes game footage of around 25 plays that illustrate that you're a well-rounded player. Start with your best plays first and prove that you're suited for your position. Outside Hitters: Show that you can hit both on the outside and opposite side. Also prove that you are a good passer. Middle Blockers: Footwork and movement around the net is important, but so is highlighting that you can block and hit. Show that you can play in the back row too. Opposite Hitters: Show your ability to move around the net, and that you can hit from all spots on the floor. Include plays that illustrating your skills in the back row. Setters: Highlight your movement, consistency, and ability to play solid defense. Defensive Specialists: Show that you can play every position in the backcourt. 4. Contact 50 to 100 realistic women's volleyball programs. Nearly 1,600 colleges have women's volleyball. Be proactive and reach out to several that you're interested in by simply sending an email. Using NCSA's digital space makes volleyball scouting easier and lets you get your information to dozens of prospective colleges. Know that the majority of volleyball teams aren't in Division I. Nearly 80% of college women's volleyball programs are at the Division II, Division III, NAIA and junior college levels. 5. It's not a four-year decision. It's a 40-year decision. Choosing a college is one of the most important decisions that you will ever make. Do your research and make an educated decision, not only as a volleyball recruit, but also as a student athlete. Input from a neutral third party like NCSA can help you find a school that's an ideal fit during the four years that you are there. Physical Measurables: Ht: 5'5"- 6'0"
NCSA Expert Notes: Extensive national level club experience. Physical Measurables: Ht: 5'5"- 5'10"
Physical Measurables: Ht: 5'0"- 5'8"
NCSA Expert Notes: Club experience is preferred, but not necessary. Physical Measurables: Ht: 5'11"- 6'3"
Physical Measurables: Ht: 5'10"- 6'2"
Physical Measurables: Ht: 5'9"- 6'1"
Physical Measurables: Ht: 5'11"- 6'2"
Physical Measurables: Ht: 5'10"- 6'0"
Physical Measurables: Ht: 5'8"- 5'10"
Physical Measurables: Ht: 5'8" - 5'10"
Club experience is preferred, but not necessary. Physical Measurables: Ht: 5'7"- 5'10"
Physical Measurables: Ht: 5'4"- 5'10"
College coaches simply don't have enough time to see every volleyball recruit in person, which is why a highlight video is an essential aspect of your online resume.